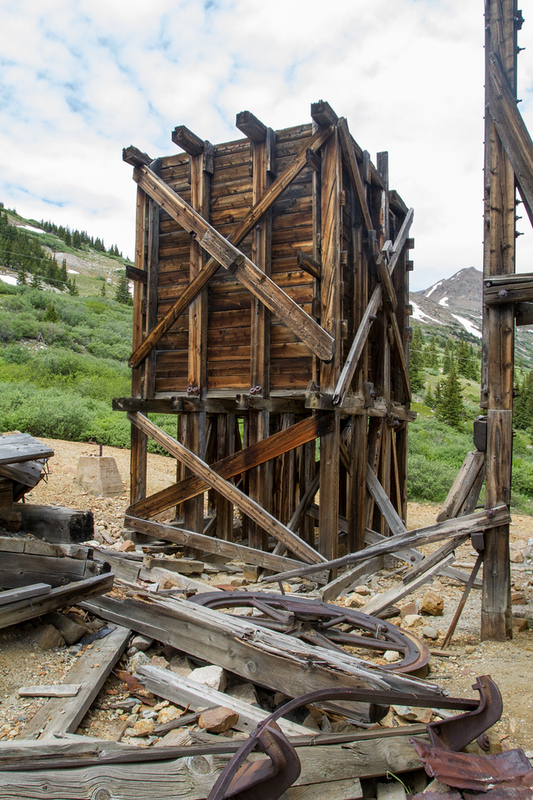 Miner’s first worked gold, silver, and lead from the London Mine in 1874. 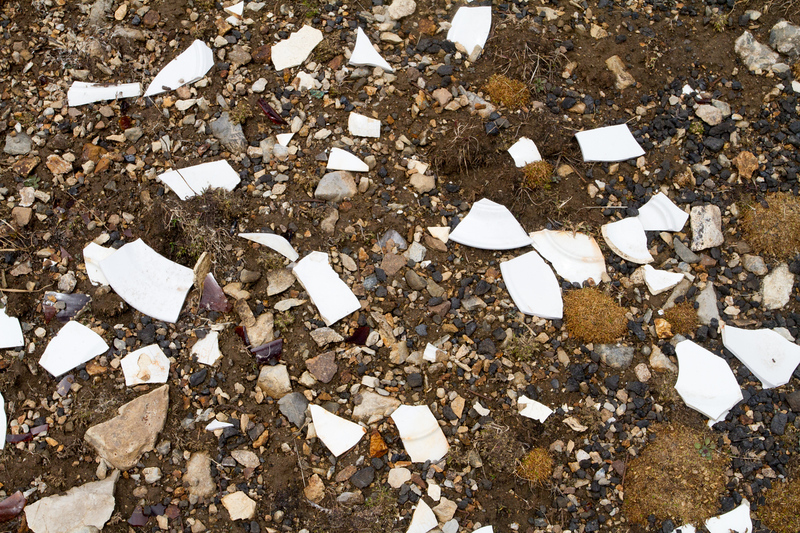 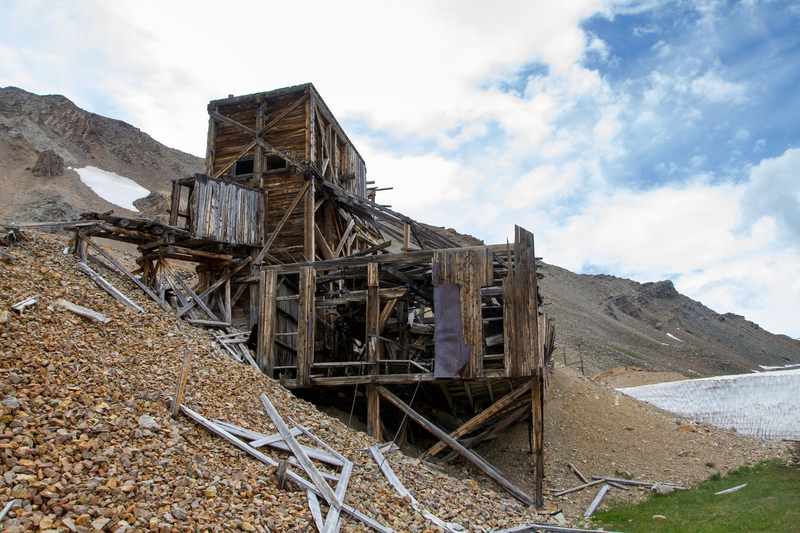 After it was developed, they decided to try and work the lode from the south side of London Mountain. 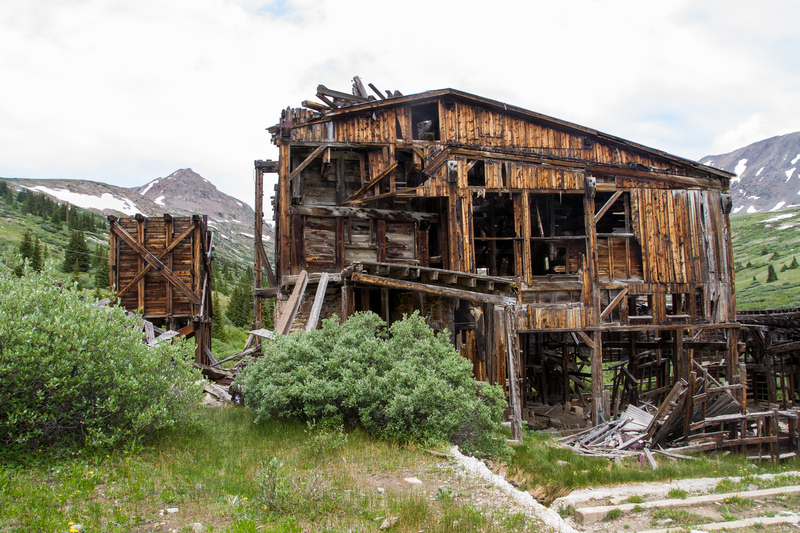 The South London Mine was born in 1880 and it was fabulously wealthy. 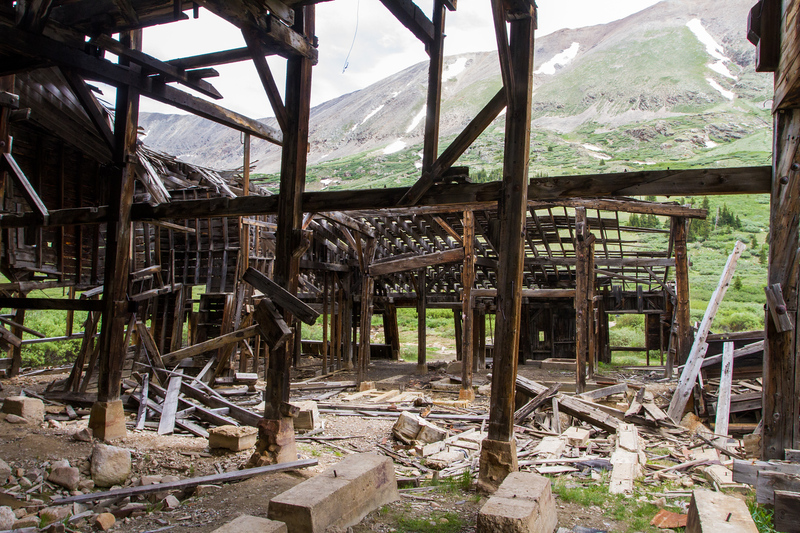 It was one of the best strikes in Colorado’s history. 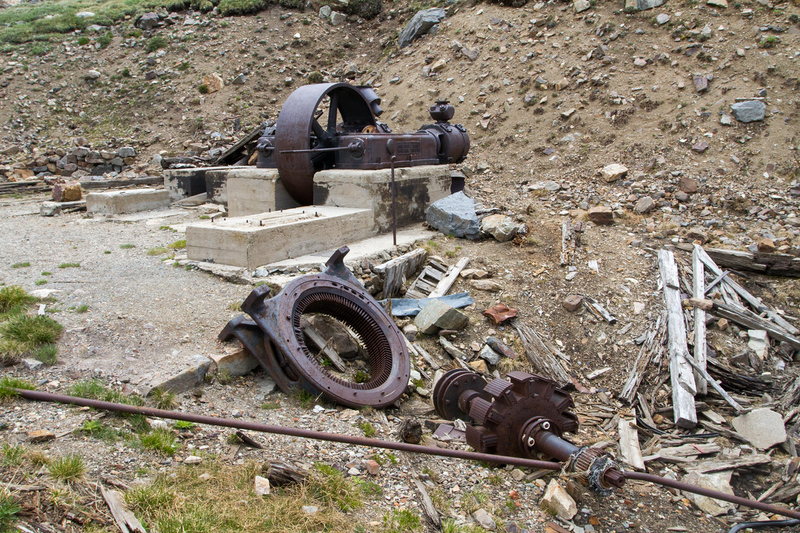 The mines were eventually connected underground. 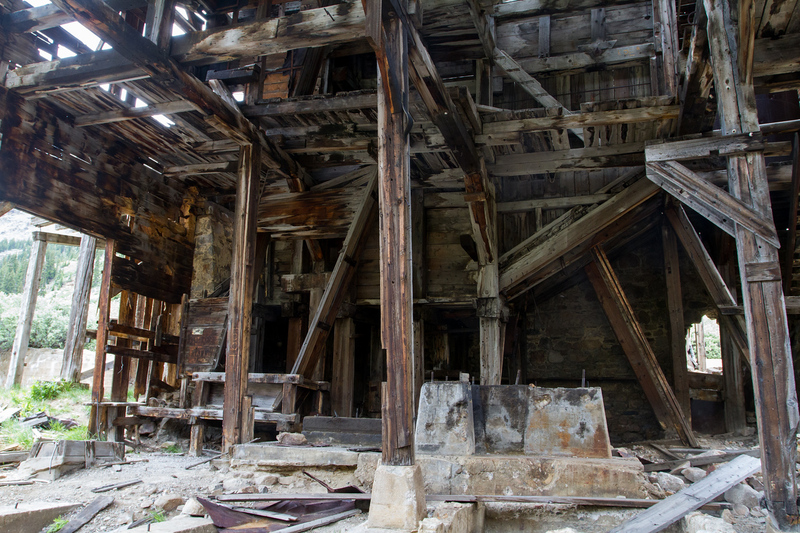 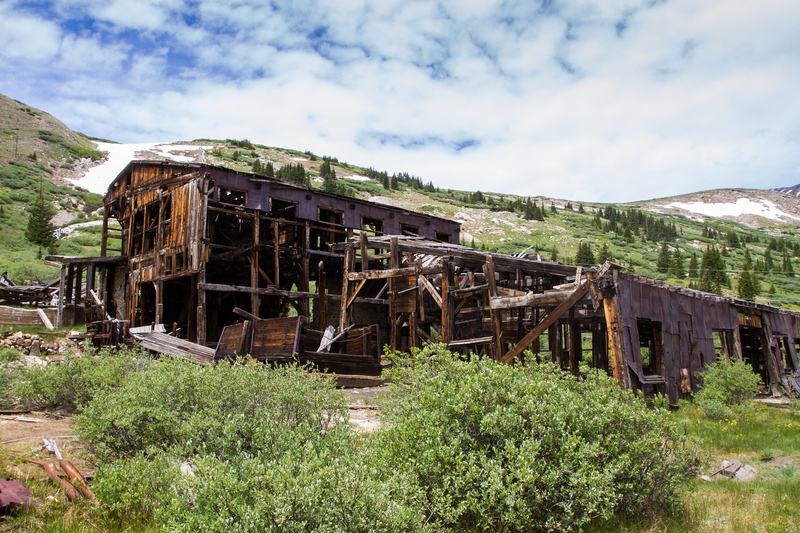 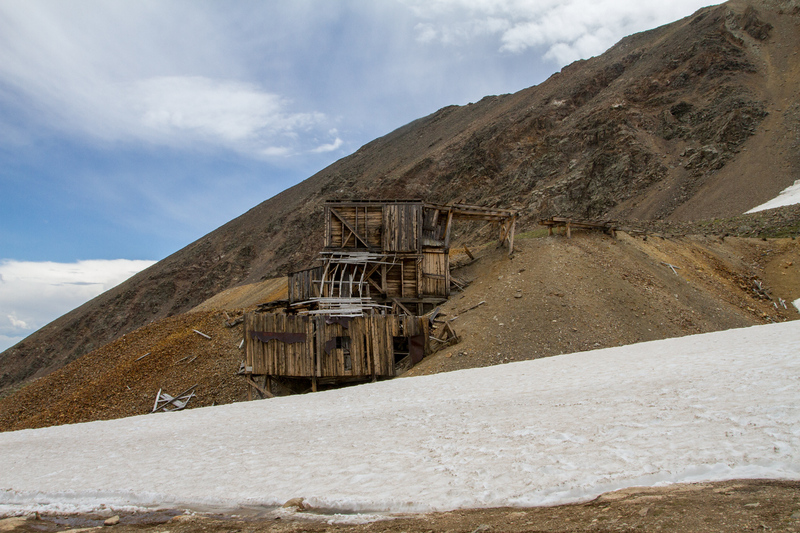 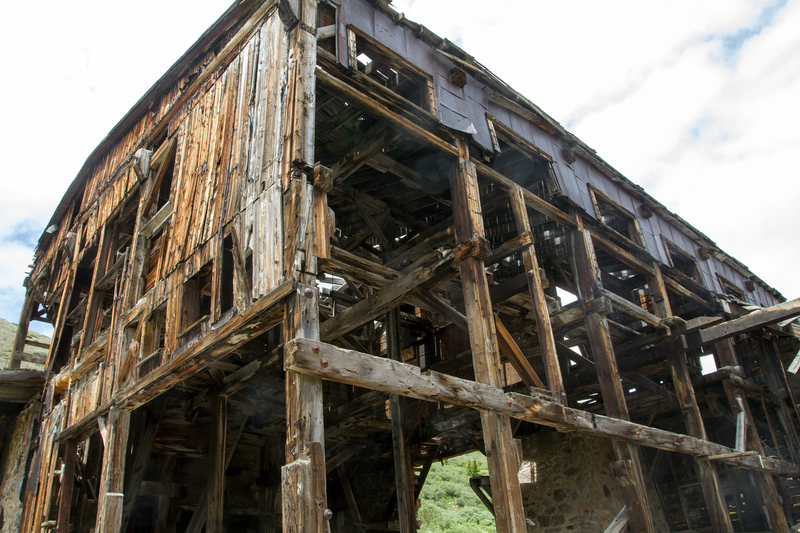 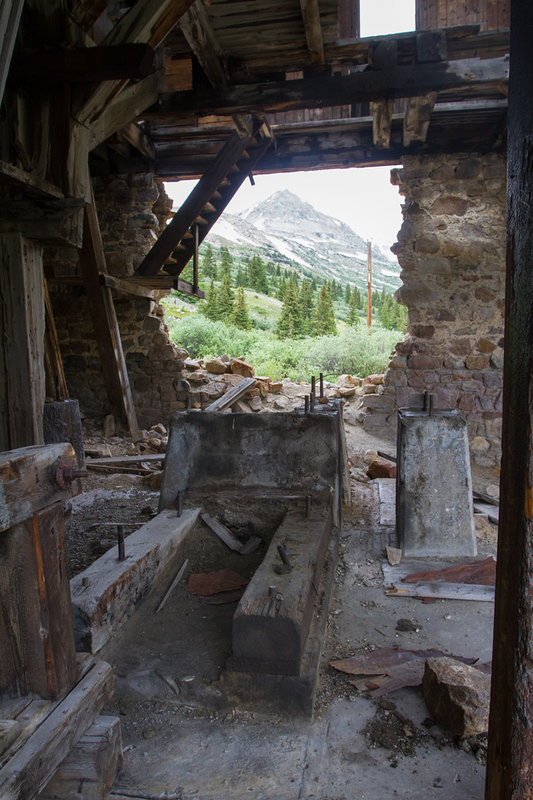 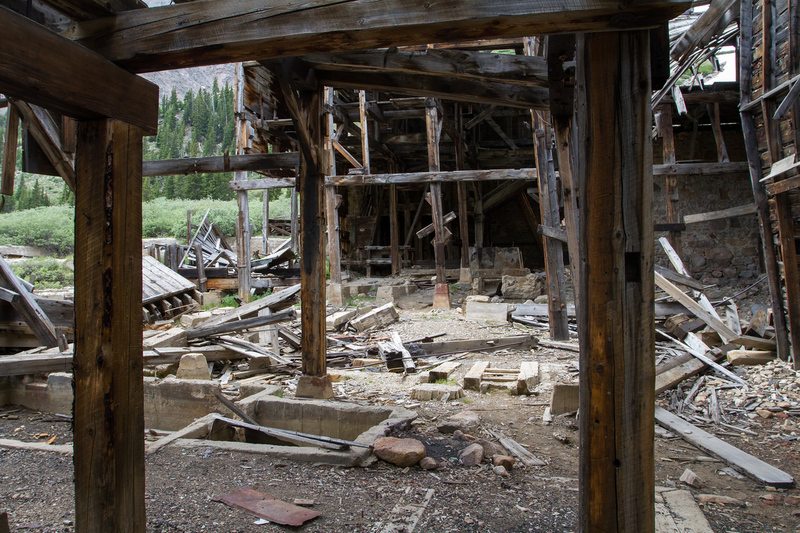 A mill had been built down in the valley below to process the ore and a 3,300 ft aerial tramway was erected to connect them. 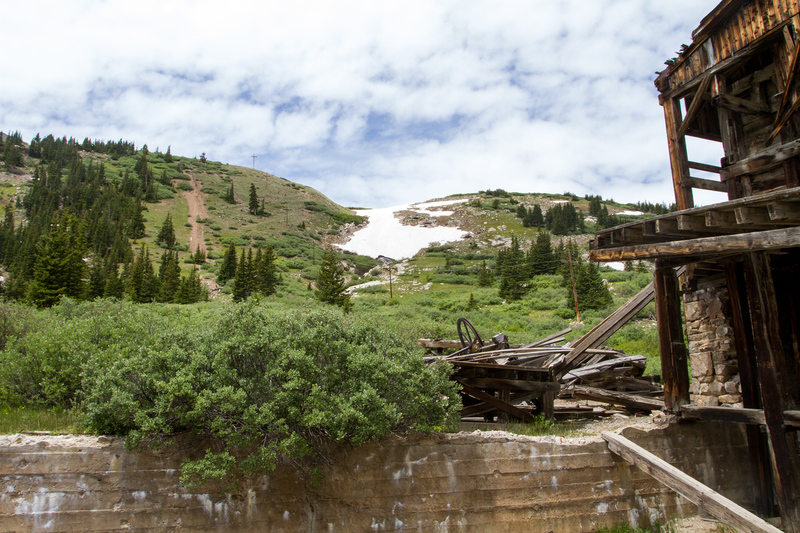 It was the first aerial tramway in the state. 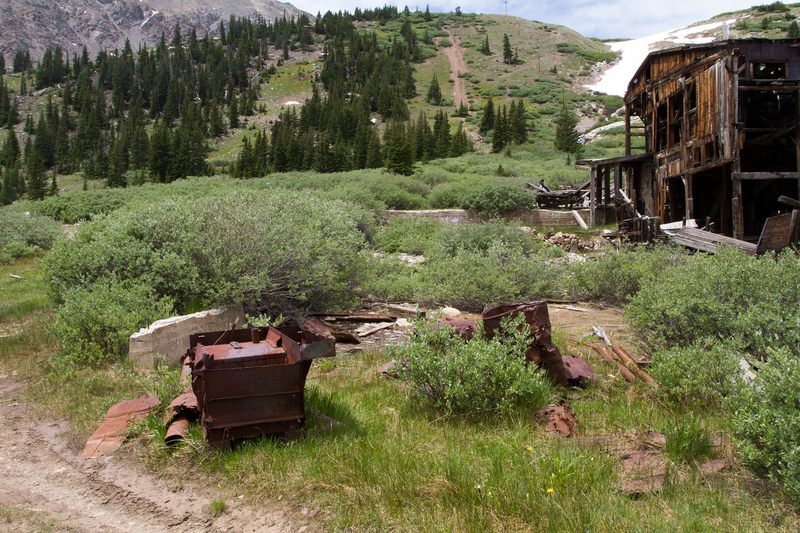 A branch line of the Denver, South Park & Pacific Railroad reached the mill in 1882. 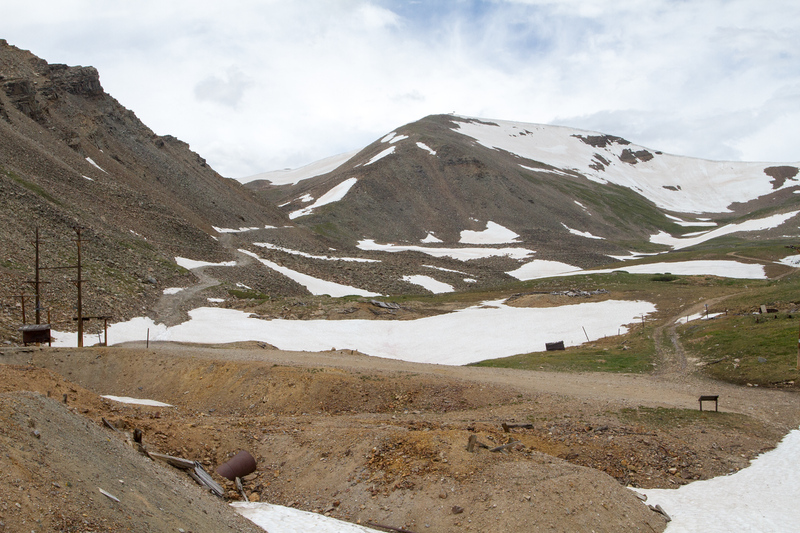 Winter is harsh here at 12,300 ft elevation. 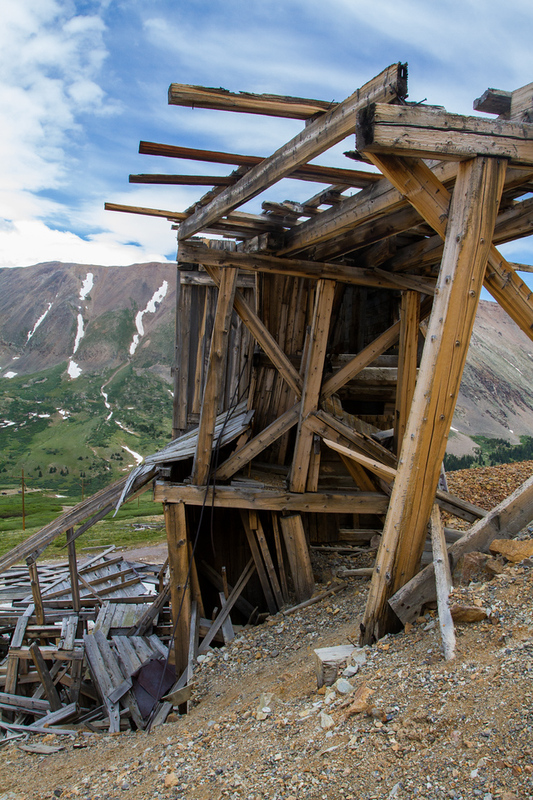 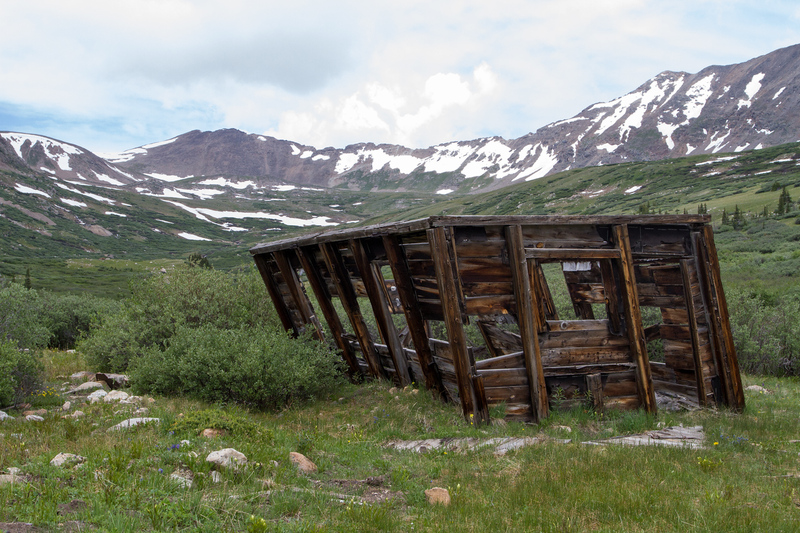 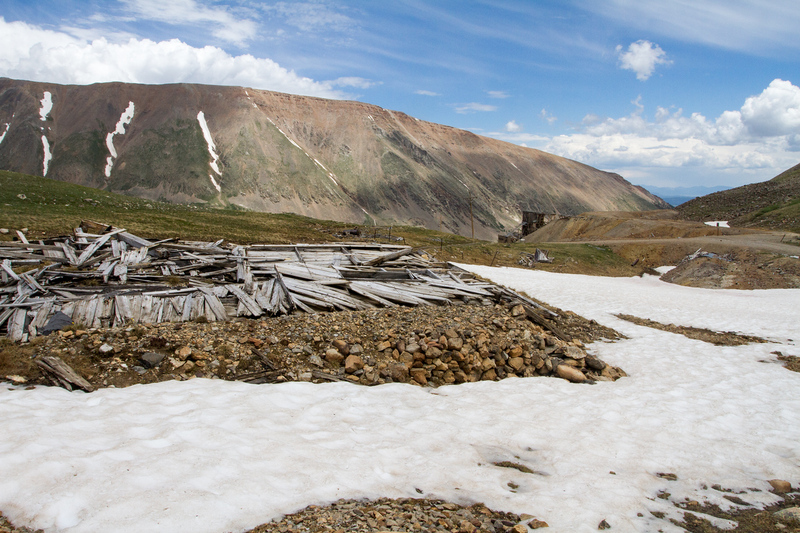 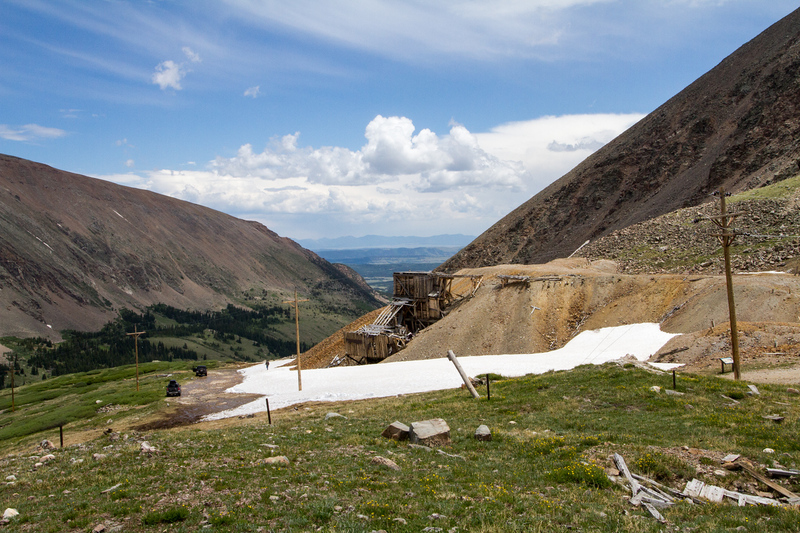 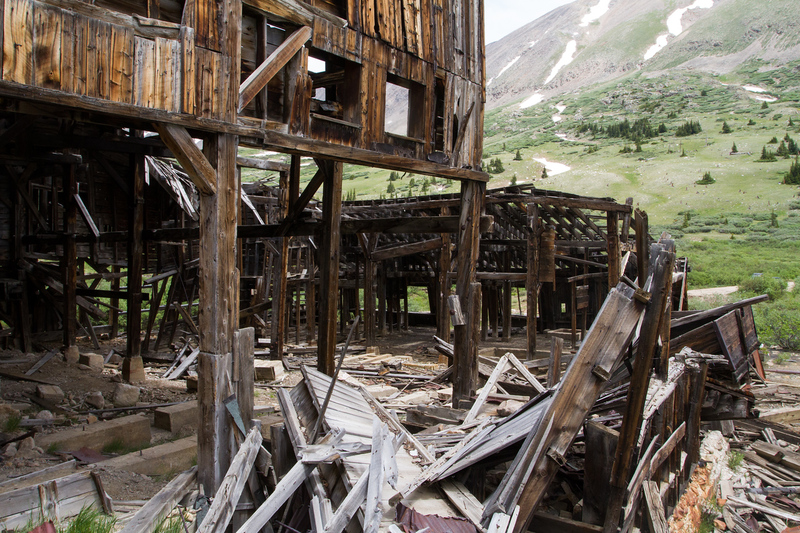 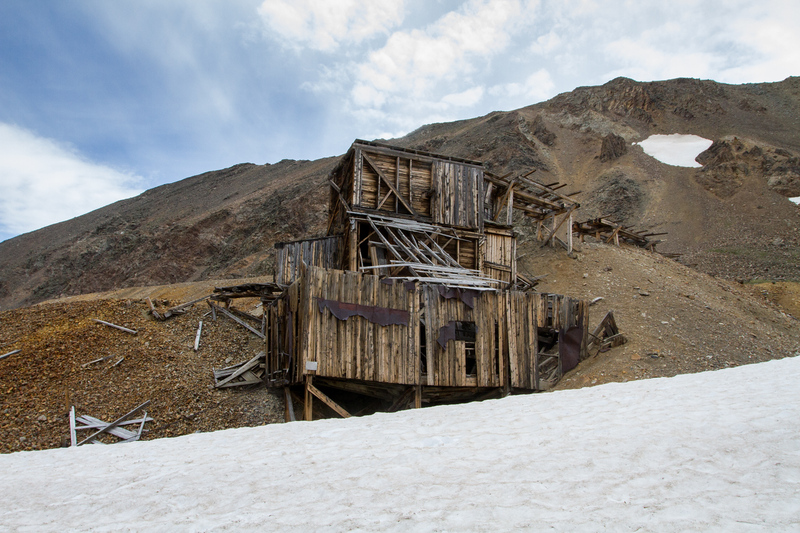 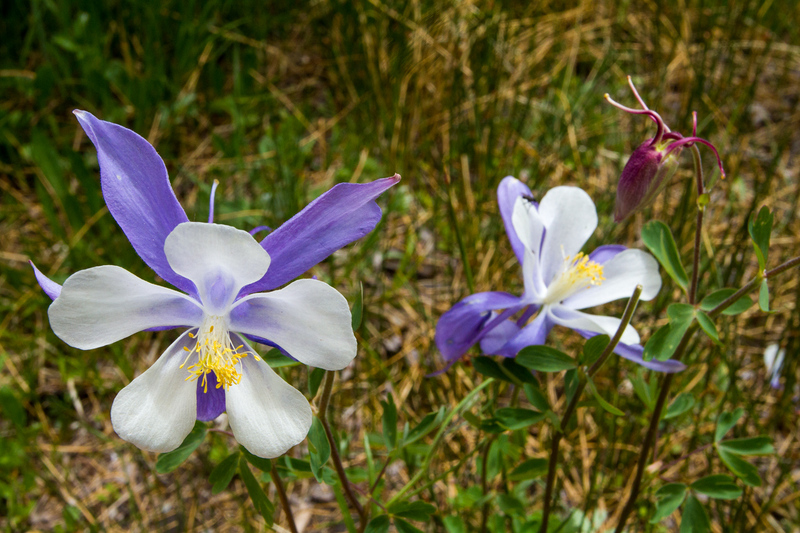 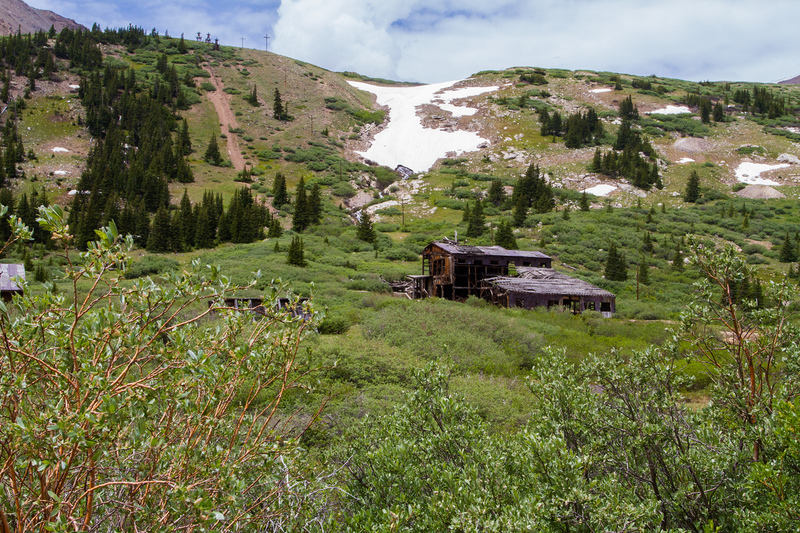 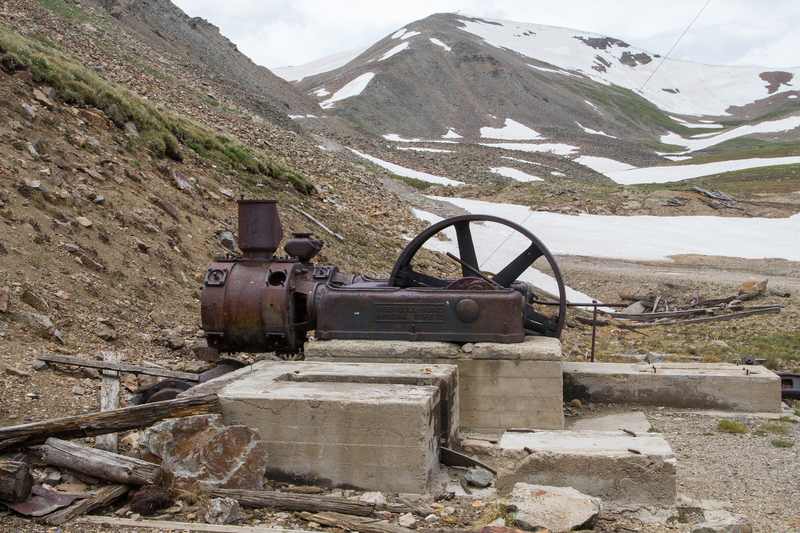 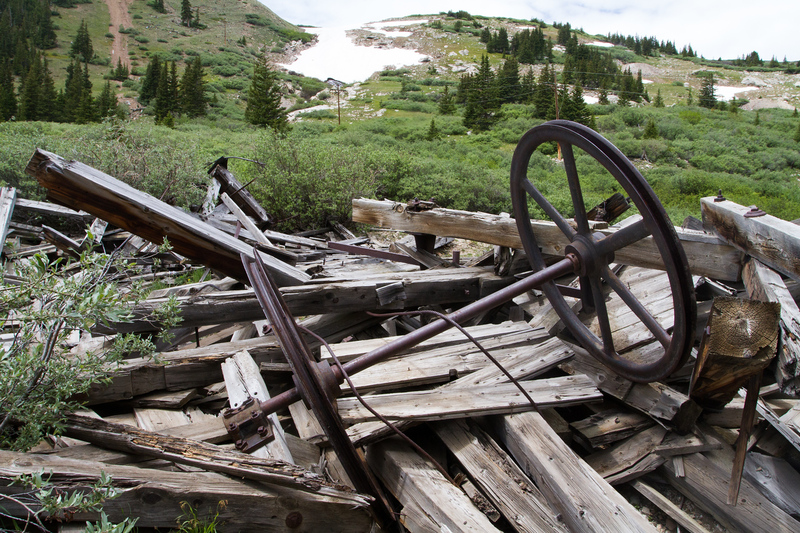 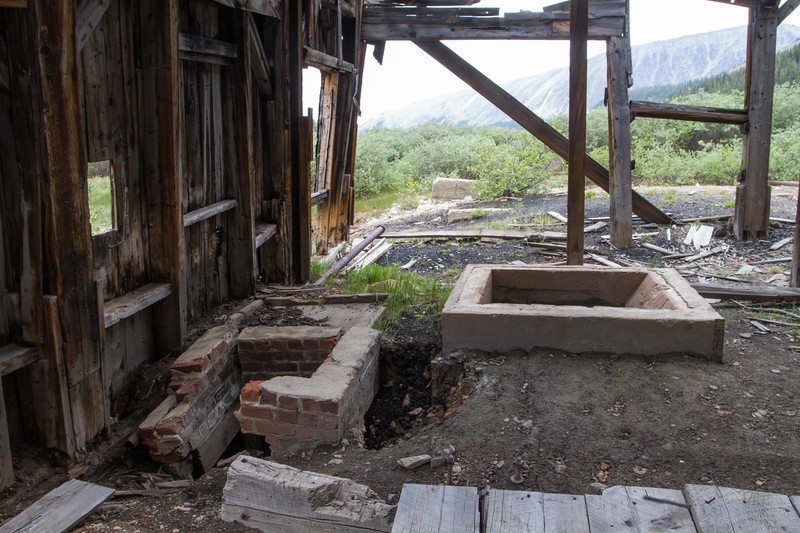 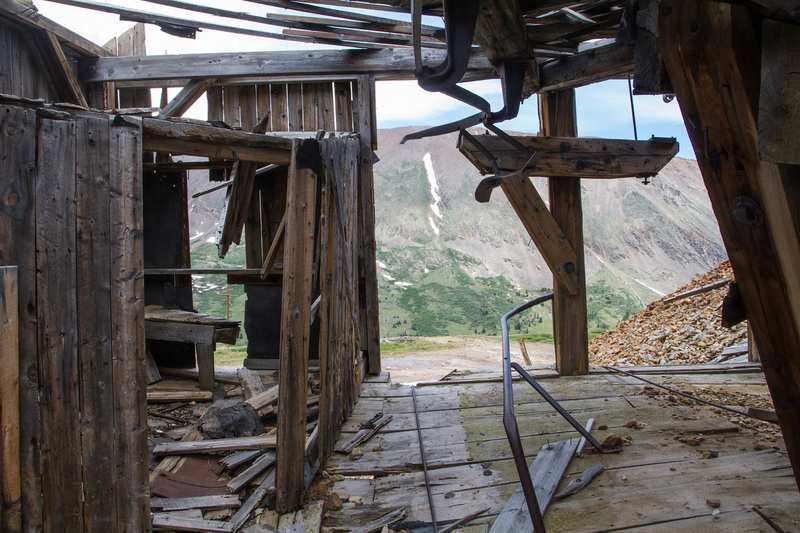 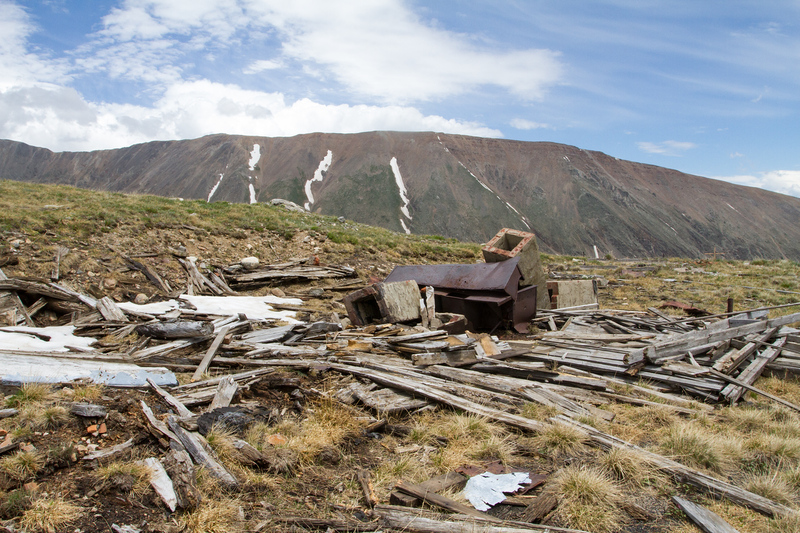 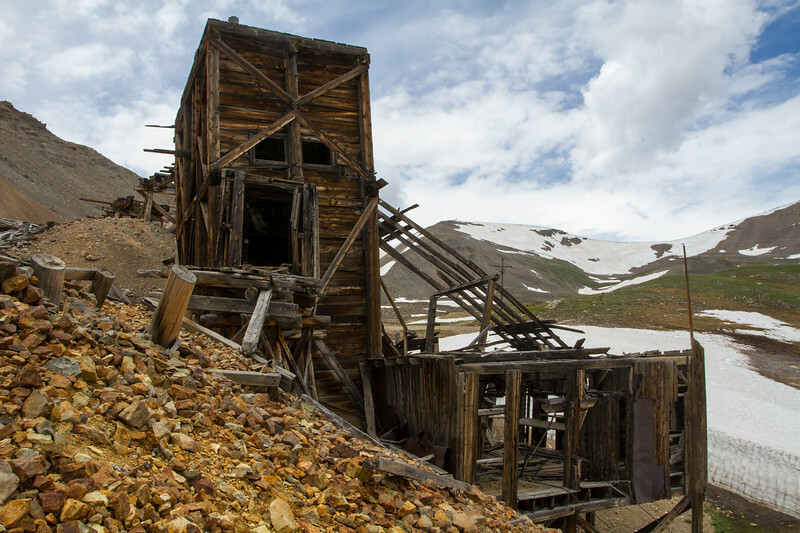 Nearby Mosquito Pass was once called the “pass of frozen death” for the unprepared miners who tried to cross it and died along the way. 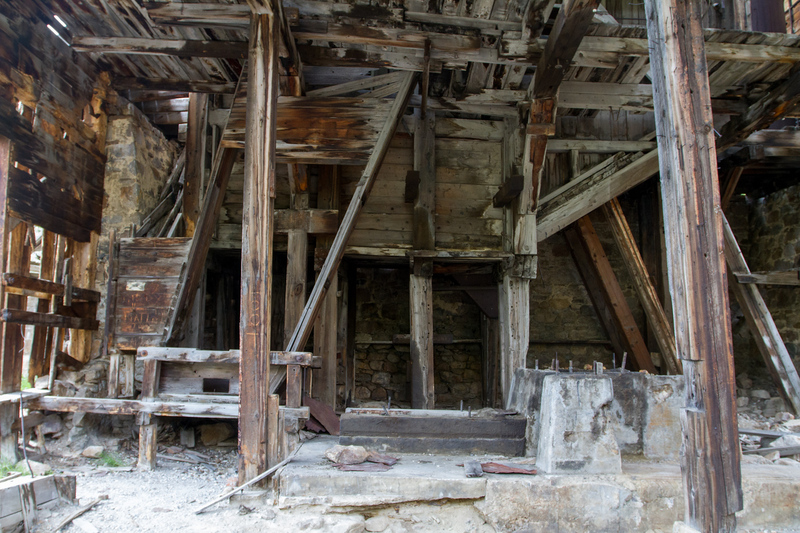 Believe it or not, the mill was once powered by a giant windmill with sixty-foot arms! 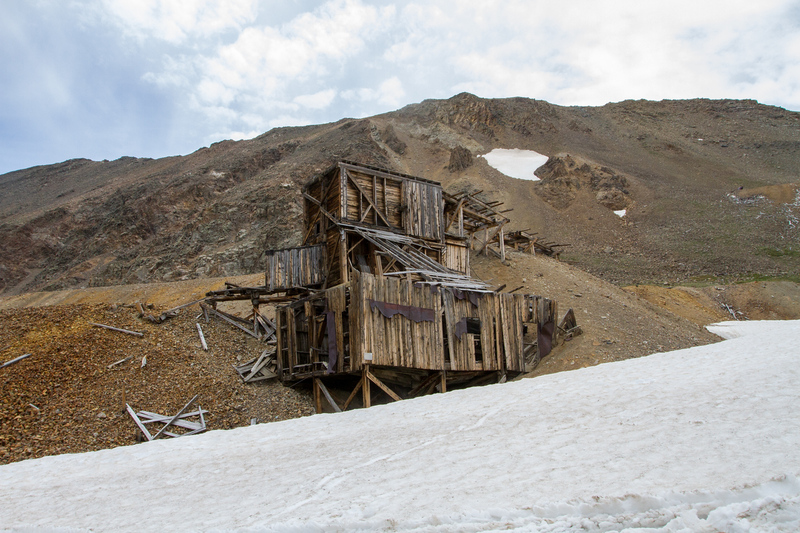 A storm destroyed it in the first winter after it was built in 1880. 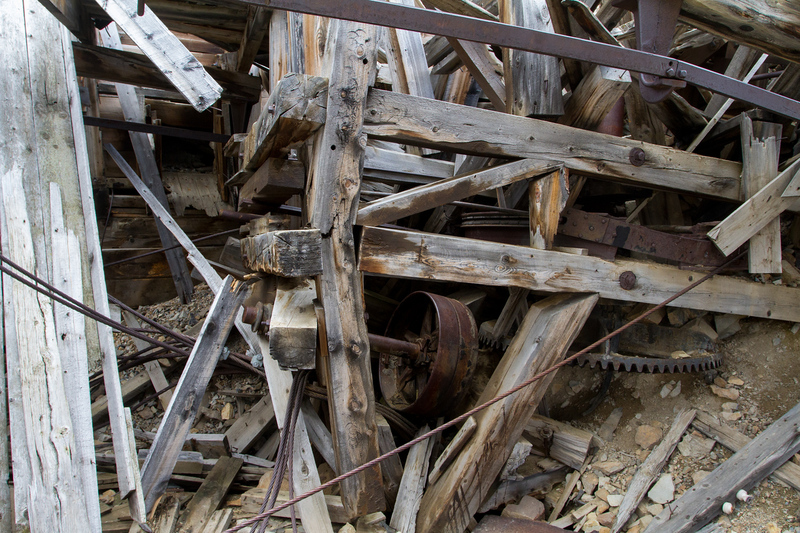 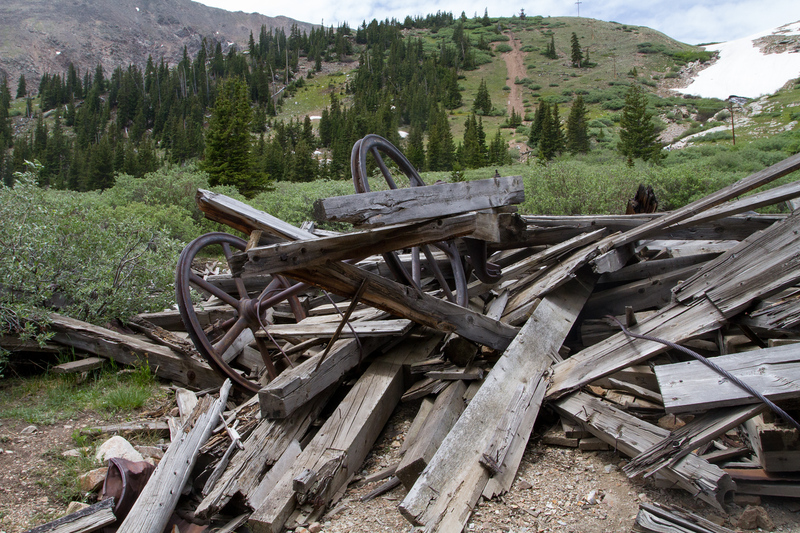 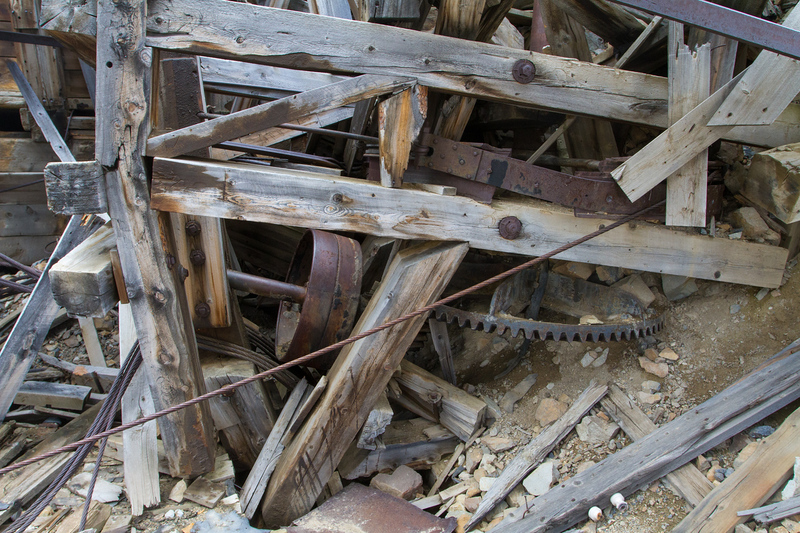 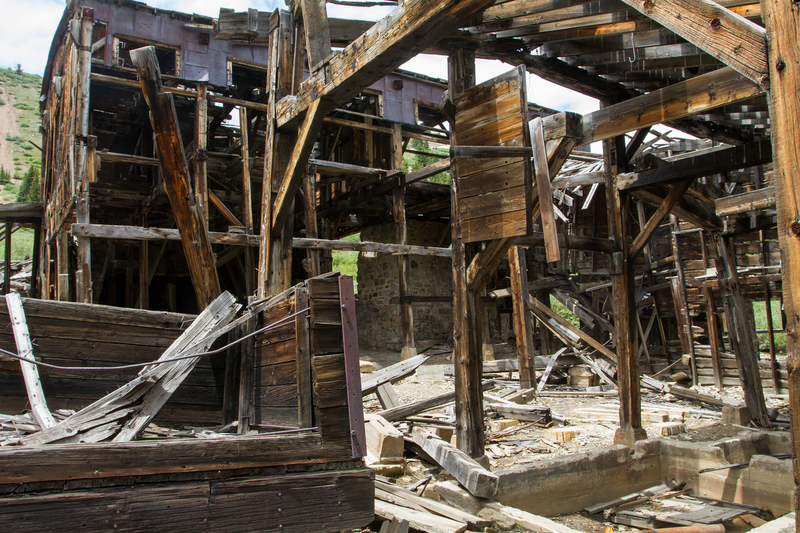 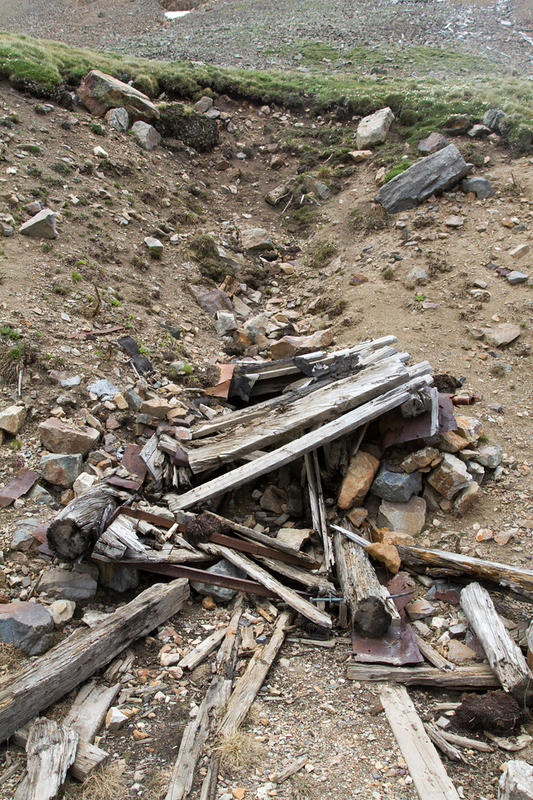 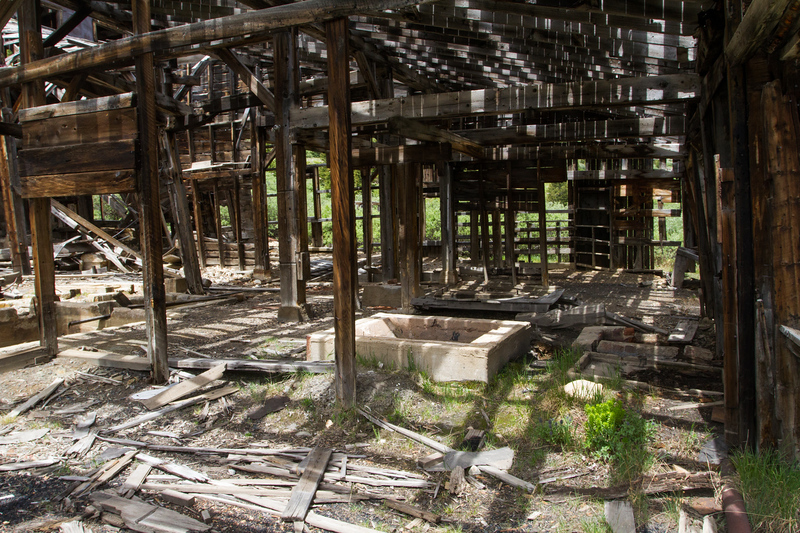 Unfortunately, there are only skeletal remains of the mill and tramway today. 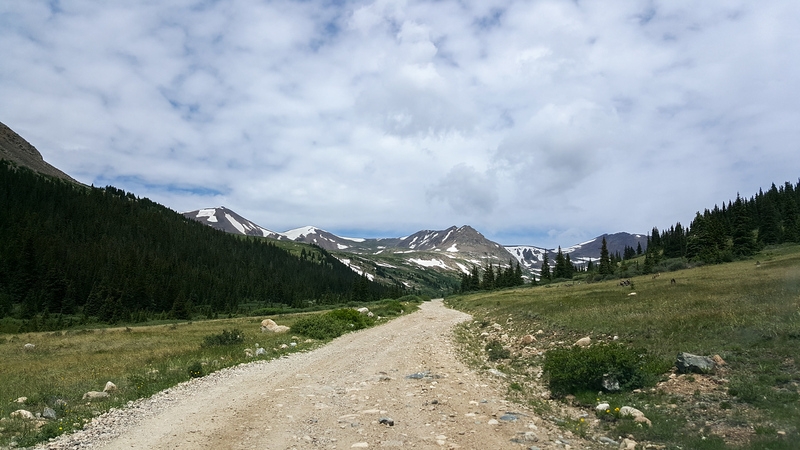 The road was wet so we parked here. 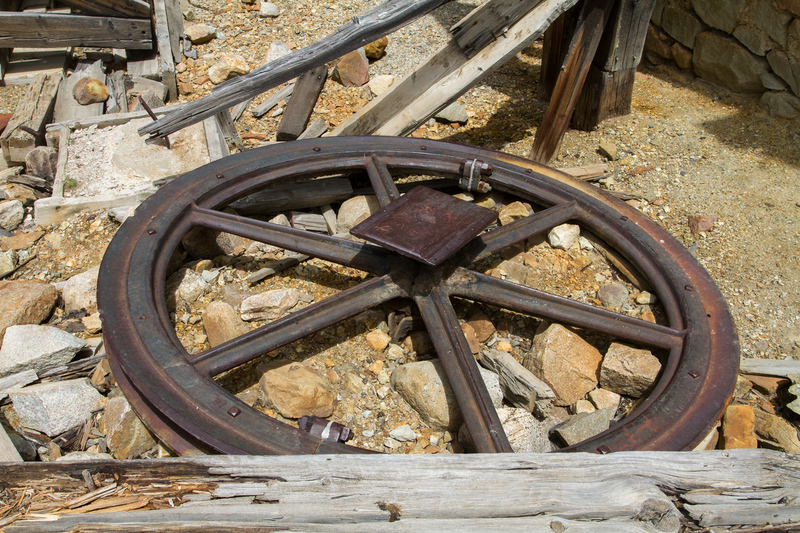 Ore would come off the tram into the mill here. 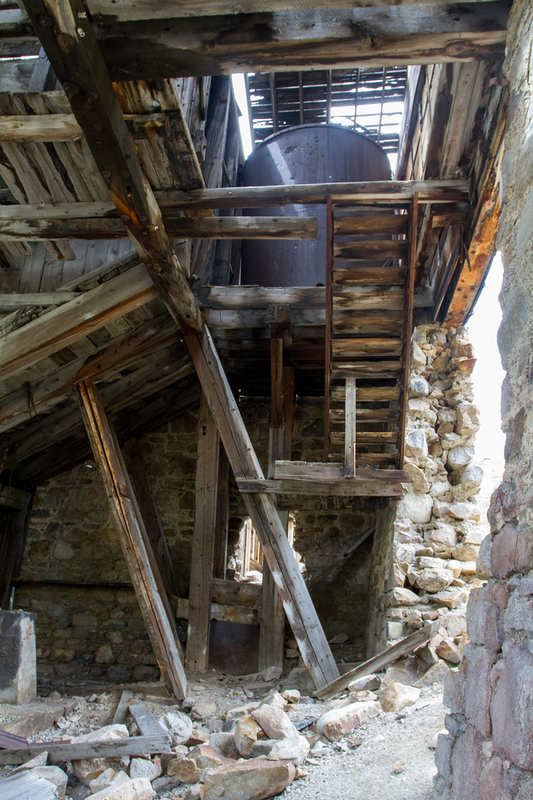 There is a cabin next to the mill. 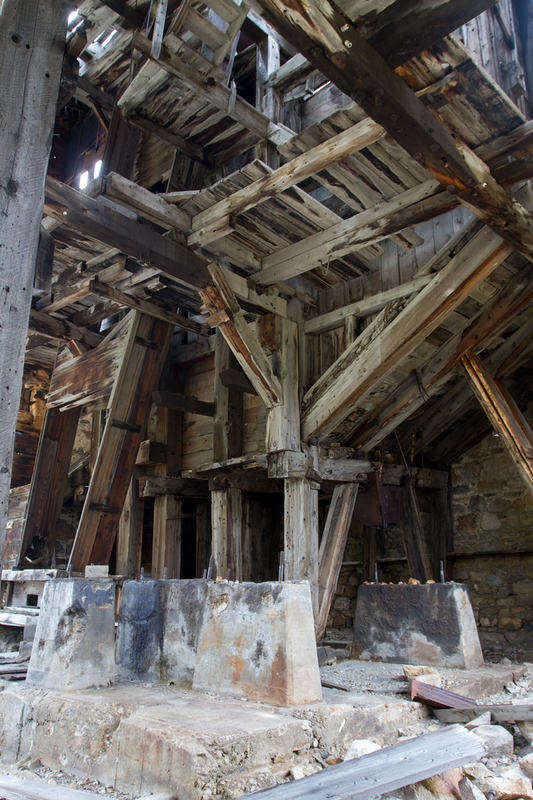 Off to one side of the mill is a furnace site. 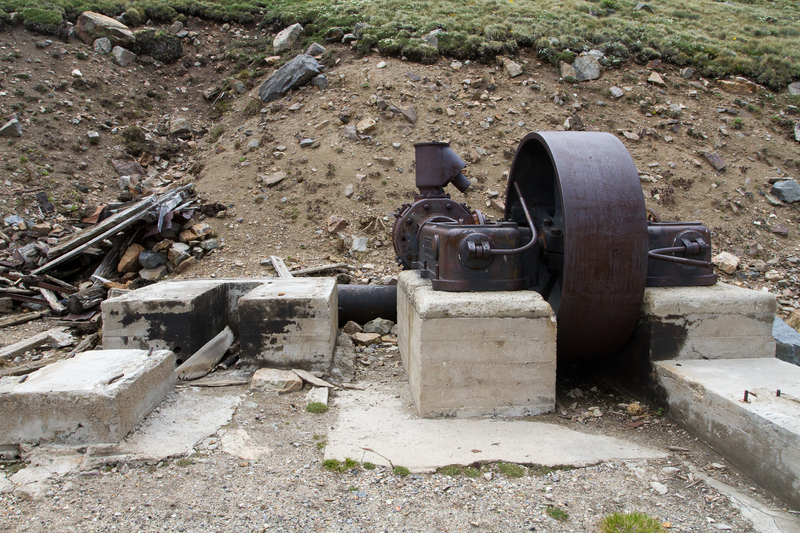 A single piece of equipment is left. 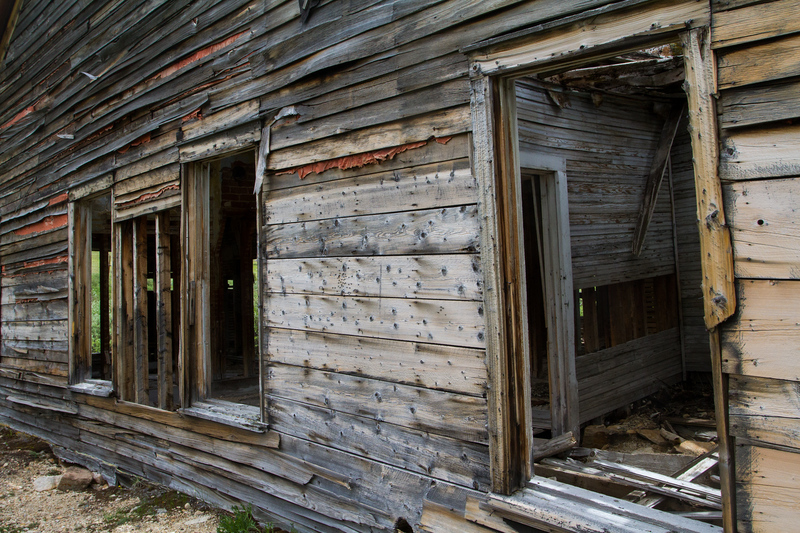 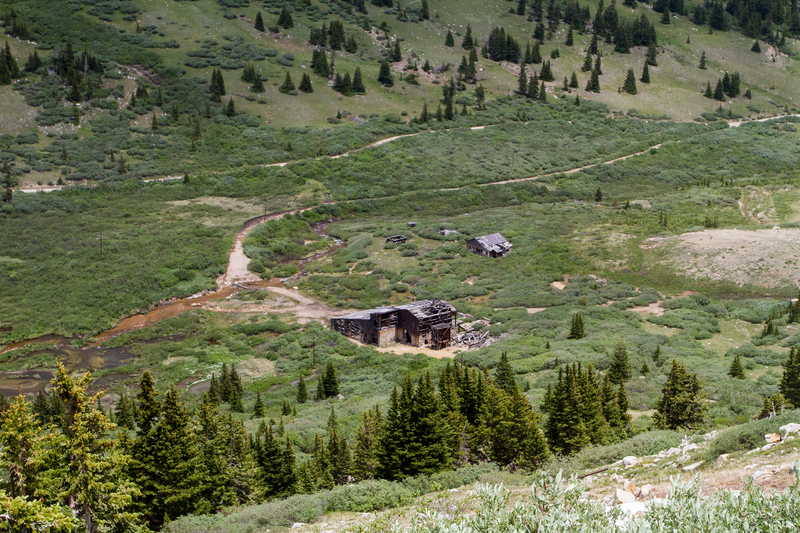 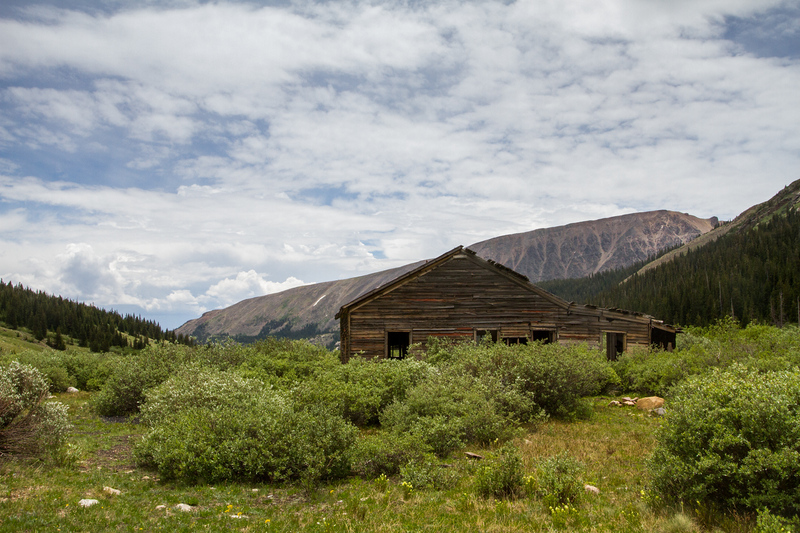 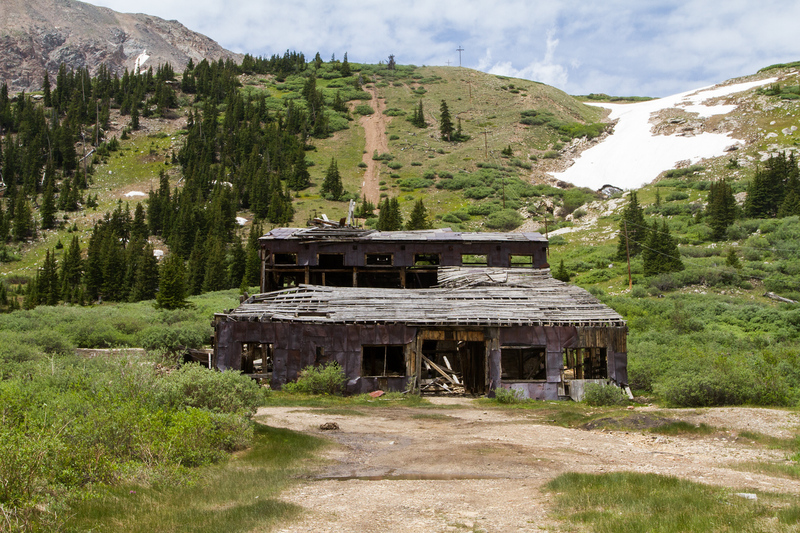 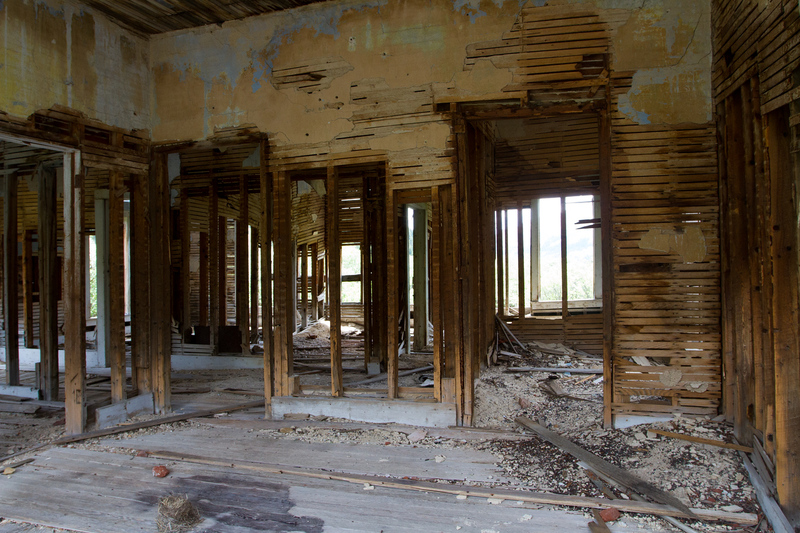 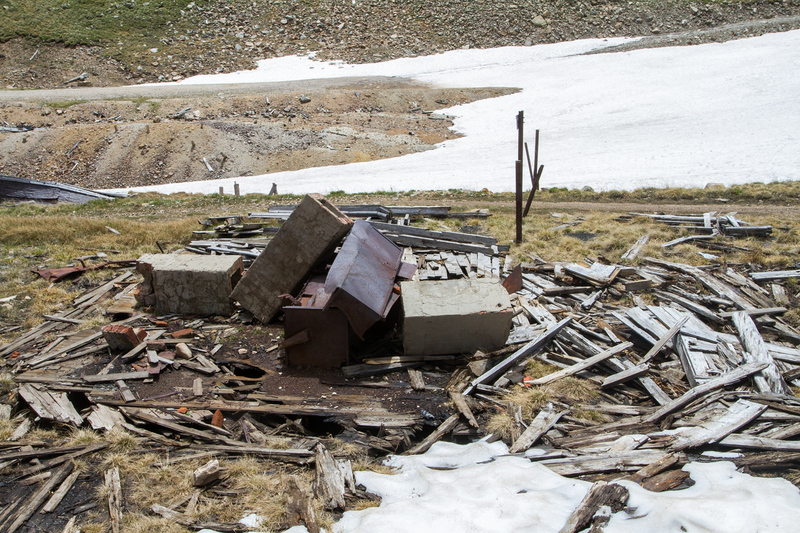 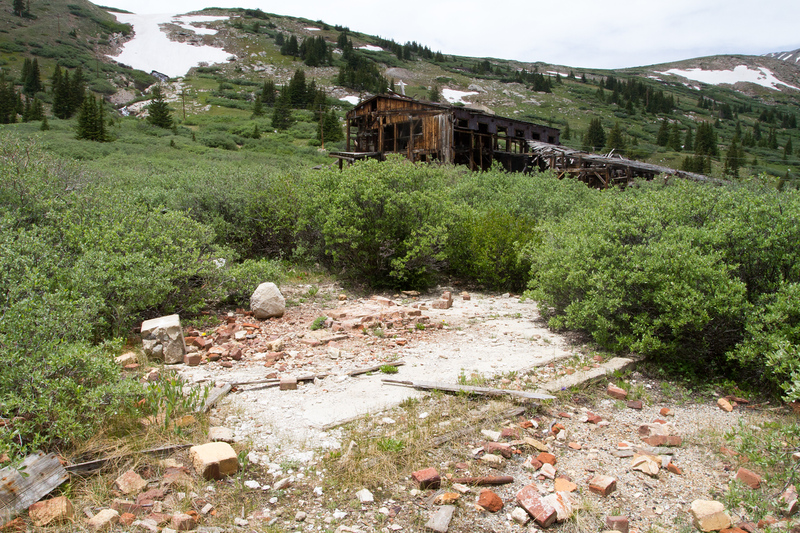 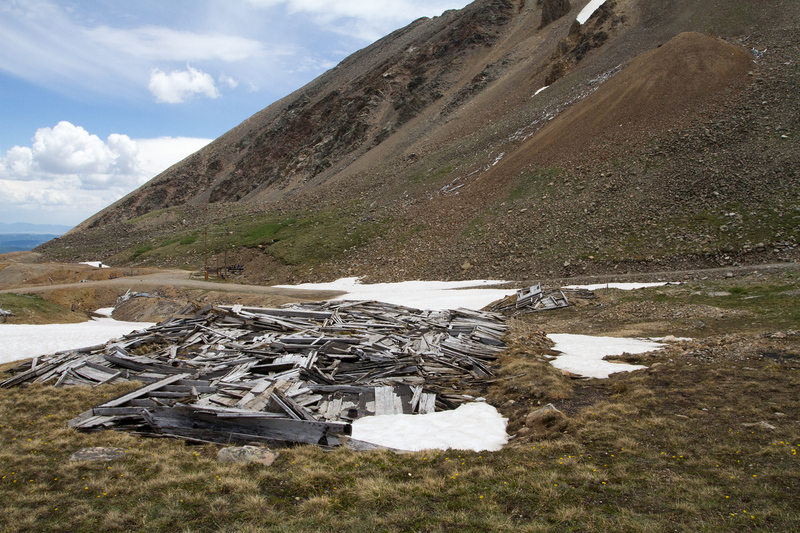 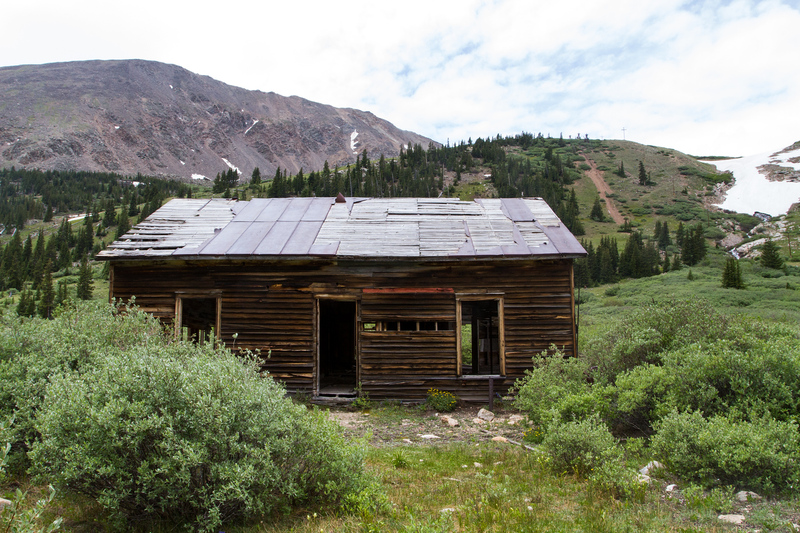 This was once a boarding house for the stageline across the pass.